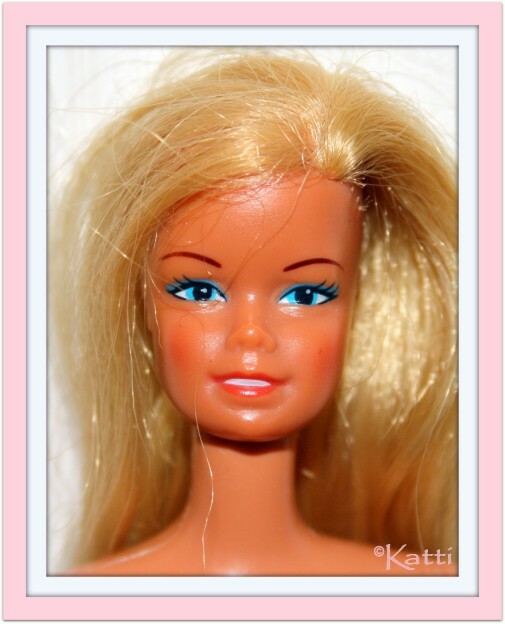 Stacey is Barbie's British chum. She came along during the MOD era. Stacey had a new face with a tiny smile and rose cheeks. She had rooted hair in blonde or titian and hair styles varied. Early Twist'n Turn and Talking had almost the same hair style but the part was on different sides and the talkers had bangs, while the T'nT had a tiny curl in front. Later T'nT Stacey dolls had a short flip cut. The markings are once again, contradicting from what we know. Stacey is marked 1968. Inside the rim. 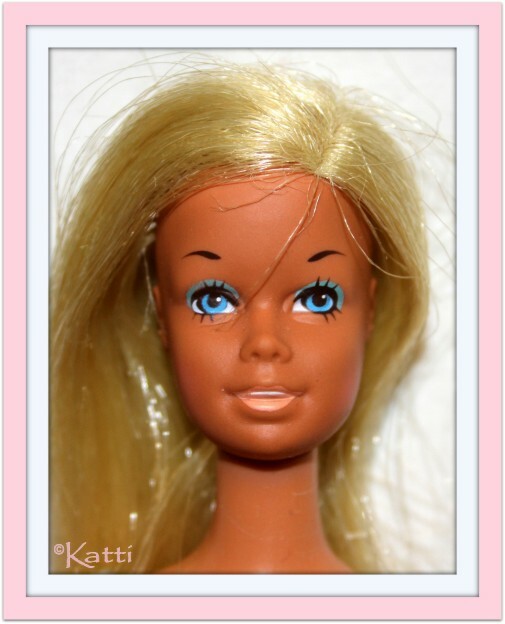 According to info I have gathered, the Repro Malibu Barbie is marked 1965, so old info still stands. Why the 1968 mark inside the rim, then? In the early 70's, Barbie and her friends hit the beach. Sun Set Malibu was the long going name of the beach series and Barbie got a new face. 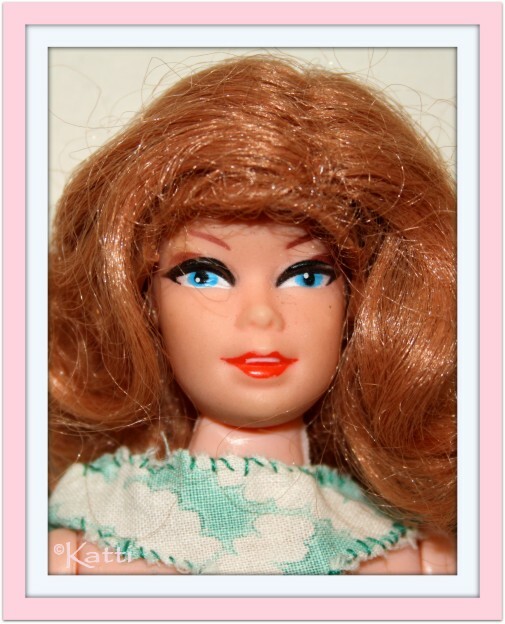 This is one of my childhood dolls and one of the reasons I started collecting face as a sort of grown-up adult ;) I think the let-loose life of beach bums need Barbie to be more "happy" so she borrowed the face of Stacey for many years to come. 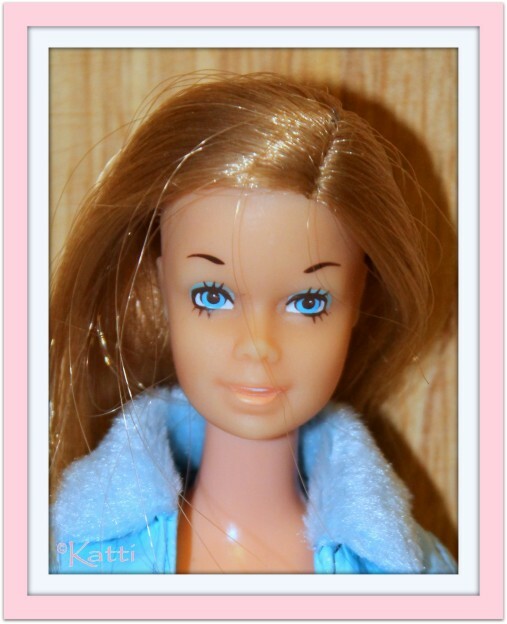 A tanned version with painted teeth and the almost turquoise Barbie blues. Very blonde hair, rooted with a side part, long, straight and shiny. Malibu Barbie varied a lot in looks as she was made in different plants. The Japan versions all are Stacey but there has been later SuperStar versions from other plants.  Looking the same as Malibu, but with a light (often yellowed) complexion, honeycolored hair and pink standard body. Not even Stacey got home free from copy cats. I found this Hong Kong made, hollow, cheap plastic clone doll and just had to have her. She doesn't have hair, but come with a wig (or several, since I have seen more styles) in a long red flip style. 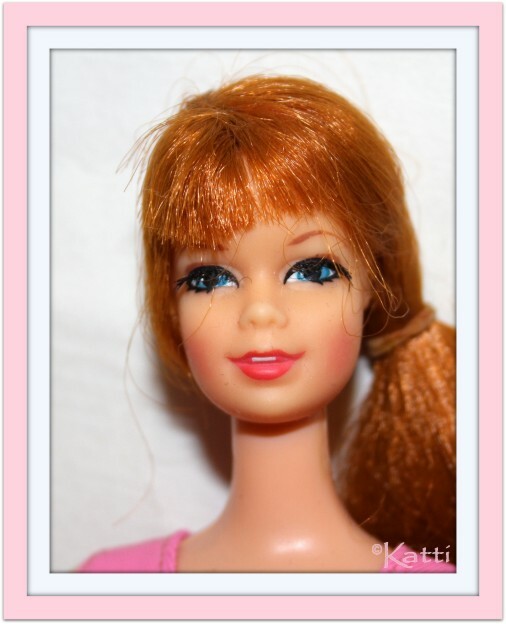 Stacey: All dolls, including any Reproduction dolls.